(45 minutes) Beginners to Advanced Suspension Training bodyweight exercise develops strength, balance, flexibility and core stability simultaneously. It requires the use of the TRX Suspension Trainer, a highly portable performance training tool that leverages gravity and the user’s body weight to complete hundreds of exercises. (30 minutes) Moderate to Advanced The excitement of playing sports is what this class is all about. Our goal is to enhance your speed, agility, and performance output all while giving you a heart pumping workout. This class will take you back to your high school days. (60 minutes) All Fitness Levels This is a customized total body workout designed just for the ladies. 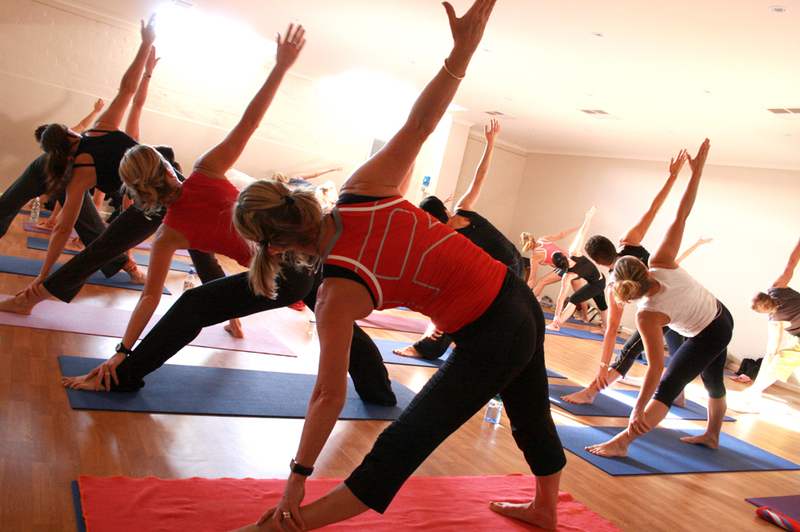 Come every Saturday expecting something new as the Instructors will rotating. Class is held on the Women’s Only Side at Scottsville Road. (60 minutes) Intermediate/Advanced PIYO combines the muscle-sculpting, core-firming benefits of Pilates with the strength and flexibility advantages of yoga. (60 minutes) Group Power is your hour of power! 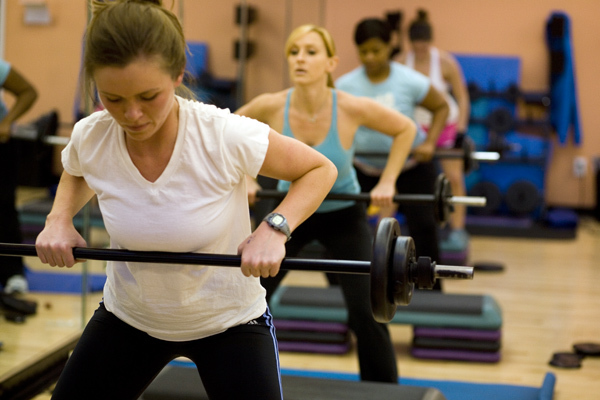 This 60 minute barbell program strengthens all your major muscles in an inspiring, motivating group environment with fantastic music and awesome instructors. Discover results, discover group POWER! 60 Minutes Our focus on Kettlebell use in this class will help you achieve a stronger and more toned body while also creating more stability through everyday movements. 60 Minutes A cardio circuit style class that will kick and tone your booty into shape. This class offers stations of cardio, strength, and core movements that will maximize calorie burn and total body training. 30 Minutes Forget doing 100’s of crunches with minimal results. This class integrates a variety of exercises to target all angles of your core. 60 Minutes This style class incorporates the traditional barre exercises but without the use of an actual bar. We challenge you to feel the burn by focusing on smaller muscle contraction and control in order to tone those stabilizing muscles. 60 minutes This blend of cardio and strength training will burn your fat and firm up those muscles in no time! 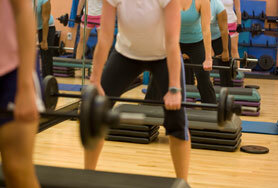 Using a variety of equipment, like steps, resistance bands and weights, to get a strong, sleek body. 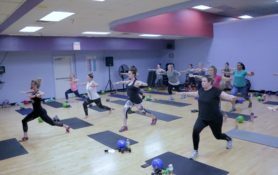 60 Minutes This is a core strengthening class which will be sure to sculpt and strengthen your abdominals and lengthen and tone your quadriceps, hamstrings, and glutes. The atmosphere is very comfortable with light but empowering music and low lighting.